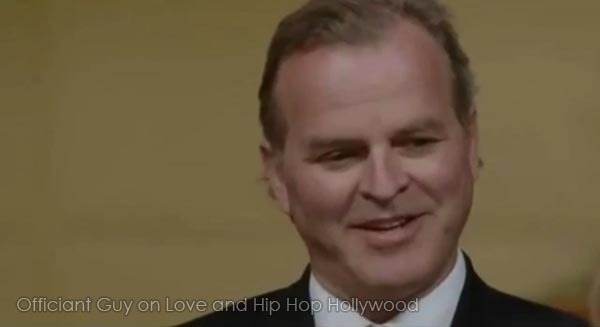 Officiant Guy was the wedding officiant for Lyrica and A1 on “Love and Hip Hop Hollywood”, a VH1 reality TV series in 2016. This wedding ceremony was on Season Three, Episode Five. This is the 2nd time that Chris Robinson appeared for VH1, having been recommended by someone else that he married. 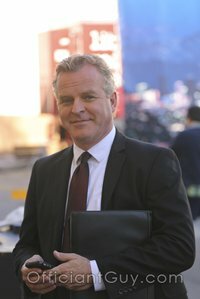 In the episode A1 asked Lyrica Anderson to elope with him and Chris was the officiant who married them and issued their marriage license. This all happened in a remote part of Los Angeles County at the Sanctuary Adventist church which has been a backdrop for many movies and TV shows. Love and Hip Hop Hollywood is the Los Angeles version of VH1’s Love & Hip Hop franchise which began in New York and branched off into various cities. If you wish to get married in the periphery of Los Angeles County and Orange County give the premiere minister for weddings in Orange County a phone call at (310) 882-5039 or (562) 547-3255 or fill out the contact form. 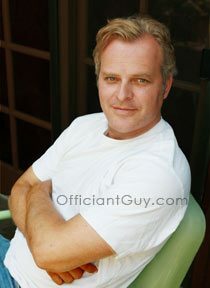 Officiant Guy is an LA County nondenominational minister for weddings. He has been officiating weddings and delivering Los Angeles marriage licenses for over dozens of years. He could be your officiant for any type of wedding ceremony from a religious wedding ceremony to an atheist wedding ceremony together with any kind of inclusions from wedding broom ceremonies to unity candle ceremonies.